1 Who is Josh Levya? 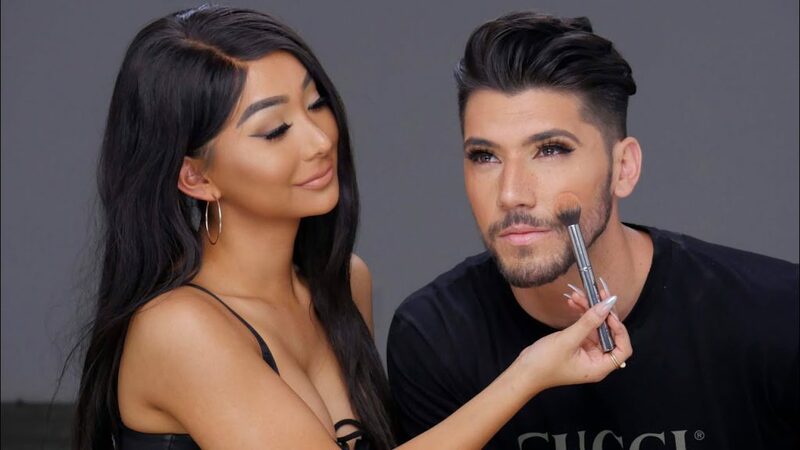 7 What is Josh Leyva’s Net Worth? Born Josh Jovanny Leyva in California City USA, Josh Leyva is an Hispanic-Caucasian YouTuber, vlogger and actor. He is perhaps best known to the world for his long-term presence on YouTube, as the creator of funny videos posted on his channel entitled “YoMuscleBoii.” He has had a number of successes in his sometimes lucrative YouTuber career since 2011. Josh Leyva is at the moment 27 years old, and he will be 28 on the 27th of December this year. He was born in 1990 on the said date, under the sign of Capricorn. Josh was raised in his birthplace, by parents of yet unknown names and professions. Even though his mother has been seen in quite a few of his videos, her identity is still a mystery. Josh has a younger brother named Mark, of unknown age. Josh garnered an interest in acting from an early age, and had dreams about being cast in a big Hollywood production. Over the years, he transformed his passion for acting into a drive for creating comedy videos for his YouTube channel. As for his education, Josh attended an unspecified high school, from where he is thought to have matriculated in 2008. It is unknown whether he on to college. Josh’s YouTube channel has attracted almost 260 million total views, and has over two million subscribers, with the description ‘On my channel you will discover a variety of exciting characters, full of punchlines and non-stop comedic elements! Please allow me to make you LOL!’ He also has a channel named “yojoshyboii”, on which he often posts videos about his personal life, and thus caters to that part of the audience’s interests as well. He created this account on the 15th of April 2013, and it has since accumulated over 7.5 million views, and over 200,000 subscribers. The most viewed video on his former channel is entitled “Normal People vs Justin Bieber”, and it has almost 8.5 million views, while the most popular video on his vlog channel is entitled “Are You Gay Test”, and it has over 650,000 views. As for Josh’s romantic involvements, he is known to have dated the popular dancer Olivia Chachi Gonzales. They began dating near the end of 2014, and remained together for approximately three years, but broke-up publicly in late 2017. It was speculated that the instability in their relationship was caused by Josh’s increasing closeness with the transgender beauty vlogger named Nikita Dragun. However, this allegation was never confirmed nor dismissed by either of the celebrities. It is not known whether Josh has a romantic relationship with Nikita now, nor whether he is dating anyone else. According to his words, or the lack thereof, Josh is currently single. What is Josh Leyva’s Net Worth? Have you ever wondered how rich Josh Leyva is, as of mid-2018? According to various authoritative sources, it has been estimated that the total of Josh’s accumulated wealth is close to $700,000, made mainly as a YouTuber and actor,. As his career continues to develop, the said amount can be expected to increase. Concerning the physical attributes of the aspiring actor, his height is 5ft 10ins (178cm), while his current weight is 165lbs (75kg). His hair is pitch dark and his eyes are dark brown, while his body shape is generally described as muscular. Due to the major influence of social networks, it is nowadays a regular thing for active celebrities to nourish a close and active relationship with their fans, for the sake of increasing the popularity of the projects they’re working on, and thus their own net worth. Lance himself seems to be a regular subscriber, if not the leading example of this celebrity trend, as his presence is quite ubiquitous on most of the popular social media networks. His Facebook page has over 500,00 followers, his Twitter account over 100,000, and his Instagram account over 550,000 fans.